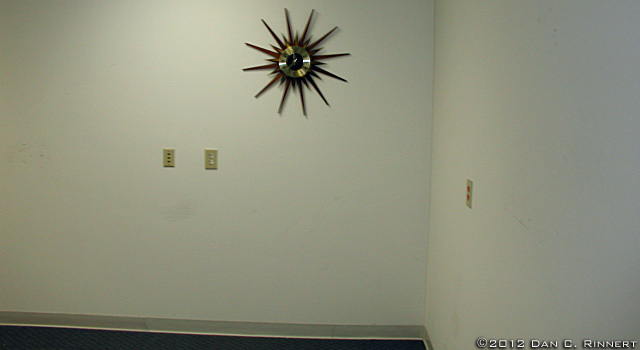 This is my Elgin Starburst Clock (read more here: “Elgin Starburst Clock” which was the last thing I took out of my old office last fall. For more photos, visit Wordless Wednesday. That’s a pretty cool starburst! Perhaps you should change the theme to Low-Word Wednesday. But wait, then that doesn’t fit in with Wednesday, unless you say it’s Low-Word LWednesday.